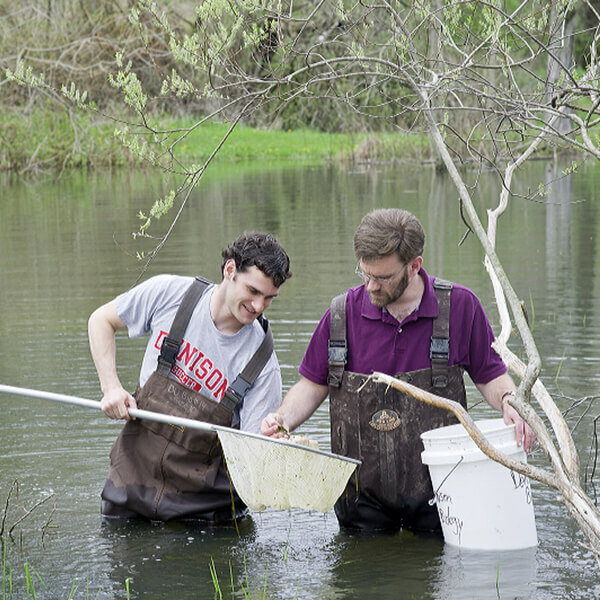 At Denison, Biology students receive a broad exposure to the natural world and a deep understanding of its intricacies. Our graduates pursue successful careers in education, research, medicine, dentistry, veterinary medicine, pharmaceutical and nutritional fields, forest and park services, and conservation. 350 The number of acres in Denison's Biological Reserve, a nature preserve within walking distance to campus dedicated to field research, conservation, and recreation. Associate Professor Christine Weingart is fascinated by mysteries and the impact of tiny microbes on so many aspects of life. This year's Margaret Ann Watkin Scholars, Senior Research, Senior Academic Excellence, and Senior Service awards. Students with excellent academic performance and service to the department, with a positive attitude and contributions brought to the classroom and lab.